I know what you’re thinking, and I’m thinking it, too: Is Heroes producer Tim Kring a Cold War-era Communist trying to subvert the American way of life with hanging plot threads, lazy characterization, and destruction of all that is good and logical? 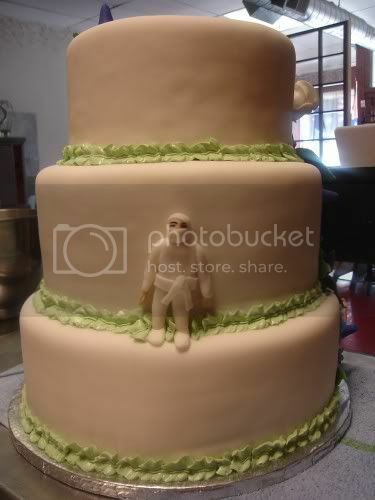 Oh, and also: Sweet ninja cake. Is it filled with chocolate shurikens? I’d love to tell you more about this ninja cake from TipsyCake of Chicago, but I’d have to put on a pair of black pajamas and assassinate you. Obviously. Oh, and TipsyCake refuses to share any details. They are indeed as secretive as the ninja code dictates. That, or they hate, hate, hate free publicity. Crap, why didn’t I think of this!? I love this cake. Next post: Geek Steal: Up to 60% off DVD Boxed Sets!